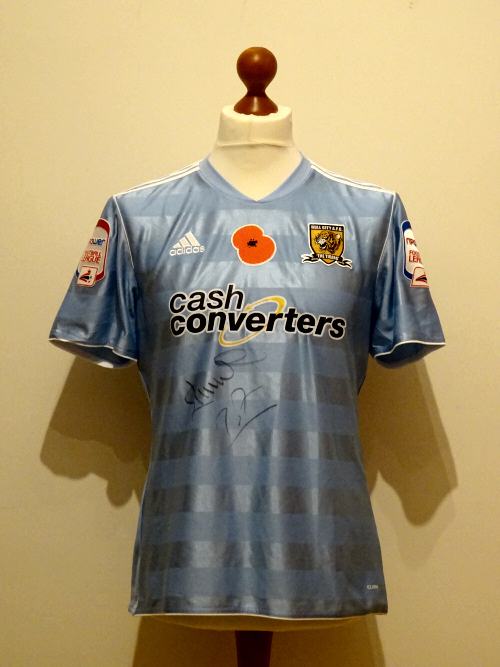 2012/13 third shirt featuring a poppy applique. City elected to use the blue shirts at Cardiff (who at that time were wearing red at home) for a 2-1 loss played the day before Remembrance Sunday, 2013. Elmo wore this shirt for at least the first half. Only one set of poppy shirts was printed up, so several players who changed shirts at half time were poppy-less in the second half.